The healthy lifestyle is taking over Colombo and the latest addition to the family is Superfood Café down MacLeod Road. Having opened merely 2 weeks back, this café is taking over every foodie's Instagram with their picture perfect food and stunning interior. Run by power couple Amande and Ruta, Superfood Café is a testimony to their shared passion of a healthy lifestyle. While living in Lithuania, Amande got himself involved in gym and working out which led him to start eating healthier while Ruta herself has a background in working with nutritious food. While abroad they ran a pop-up store of Sri Lankan food and when they moved to Sri Lanka two years ago, they bought a little of their expertise to open the Superfood Café. For those struggling to figure out what a Superfood is, be assured that it has nothing to do with superheroes but everything to do with nutrition. Superfoods are foods such as greens, beans, nuts and fruits that are rich in nutrition with little to no carb and fat content. Most of the superfoods served at the Café are imported from abroad but they also do use a range of local ingredients such as greens, vegetables and fruits in their dishes. Superfoods Café is a partnership with the boutique hotel Villa Raha. They’ve made use of their outdoor area and converted it into a lush space with greens, flowers and shiny décor. The Café is an Instagrammer's dream space. Pink disco ball like ornaments descend from the roof and hanging flowers in pink and white complete the look. The interior includes plush sofa seating on one corner and swinging seating on the other. Smooth music plays in the background and they’ve designed the space so well that you completely forget you are in the heart of the city. We really loved the ambience. It’s easily a place for multiple occasions; some time alone, a date or even brunch with the girls (tried and tested!). Keeping in line with their healthy lifestyle theme, Superfood Café serves their guests what they call Vitamin Water. 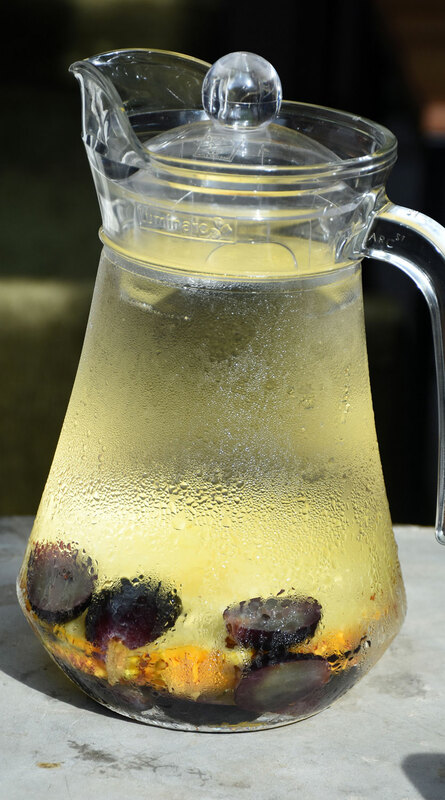 This is water infused with either vegetables or fruits. The vegetable vitamin water had celery, beetroot, and lime while the fruit water had pineapple and grapes. Believe it or not, the water actually tastes a lot different; in the sense that it felt a lot more refreshing. We also tried a few of their slow pressed juices - The Detox, Mango Carotine and the Heart Beet (Rs. 300). 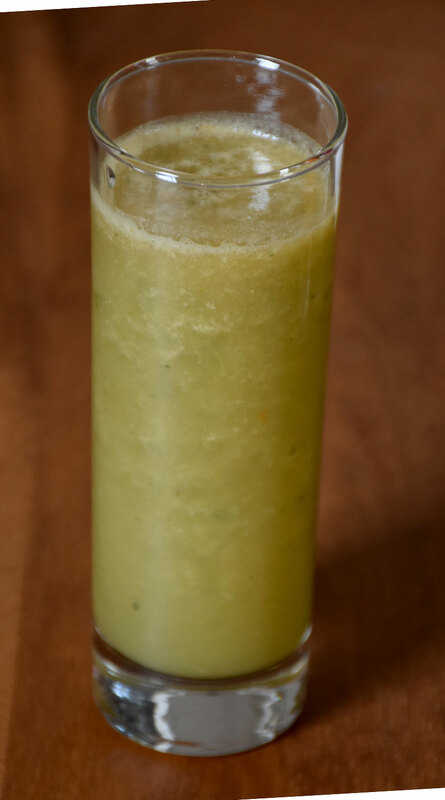 The Detox is a cucumber, apple, celery mix in which the cucumber and the celery were rather dominant but the apple added a sweet element to it from time to time. The Mango Carotine was my favourite. 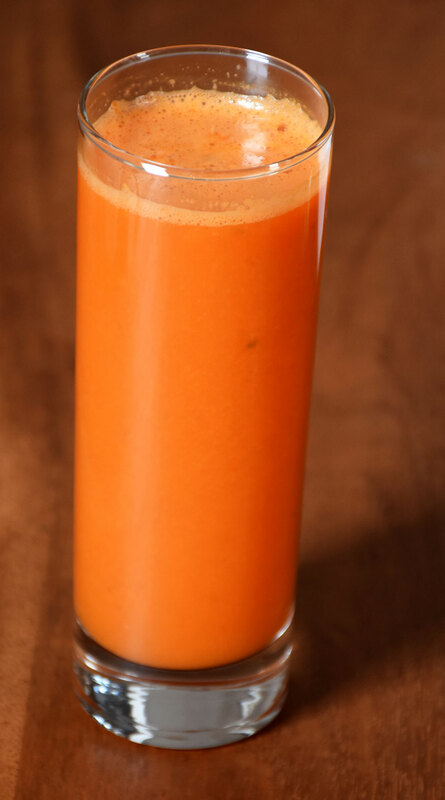 The carrot is very strong but the Karutha Kolumban mango seeped through it and it was delicious. 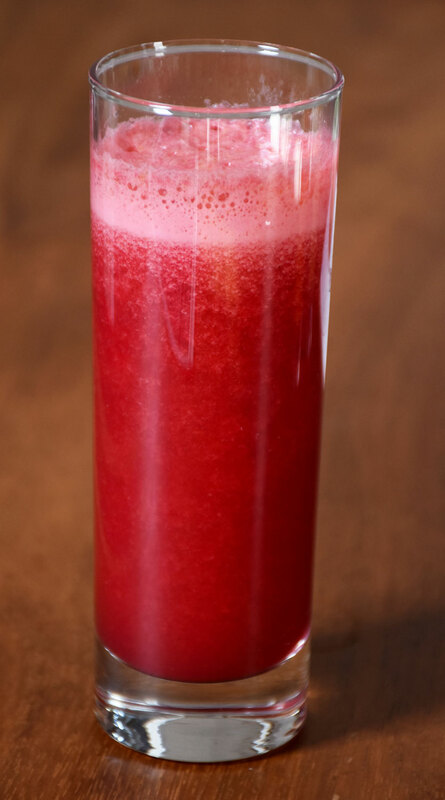 The Heart Beet is a beetroot, pineapple, apple and carrot which has a good balance of the foods and the vegetables. The good thing about these juices is that there is no water or sugar in any of them. They also have cold drinks in which their Strawberry Chia Lemonade is a must! You can also find coffee and tea on the menu. Having met each other while travelling, Amande and Ruta incorporate a lot of their travels into the food. Their menu is inspired by the cuisine in Bali, Australia and Europe and the recipes are created by the two after having done their research and consulted expert nutritionists. Their menu has an all-day breakfast, lunch bowls and sandwiches. 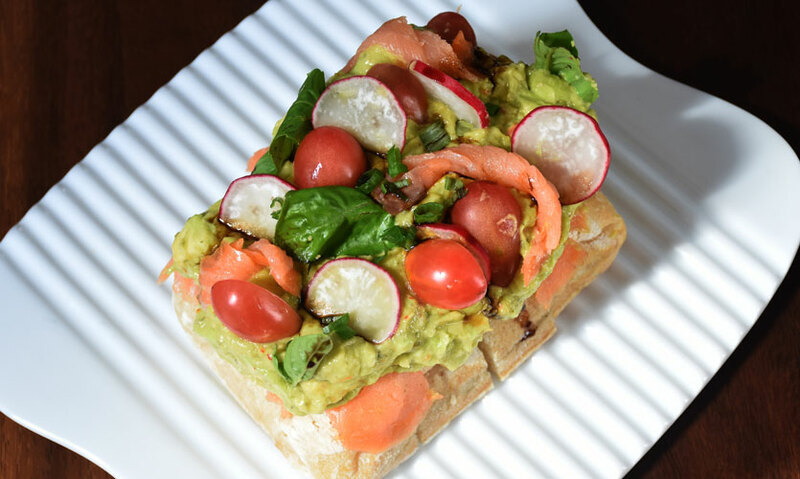 We started off with the Avocado Toast (Rs.770) which is ciabatta bread overloaded with avocado cream, fresh salmon, radish and tomatoes topped off with basil. We were really impressed with the sheer size of the dish. The bread is a full loaf sliced into 4 and will easily fill you up. The salmon was fresh and the combination of avocado with salmon was perfect. 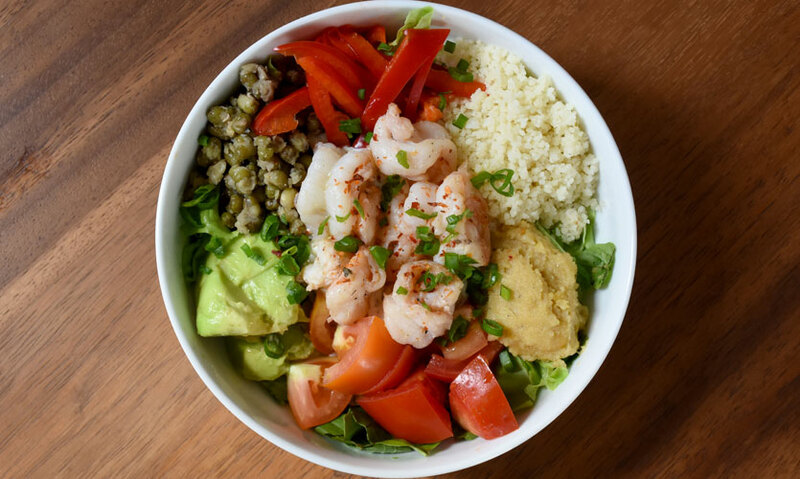 We then tried their Prawn Detox Bowl (Rs. 890 (small) and Rs. 1190 (large). Poached eggs with couscous, tomatoes, avocado, cowpea, roasted chickpeas and a mix of greens make up the bowl. This is a dish that feels healthy to the core. You have a controlled portion of carbs, greens and protein and while salads aren’t really our favourite thing to eat, we have to say we couldn’t complain about this detox bowl! From their All Day Breakfast menu we got their Waffle (Rs. 790) which can be prepared vegan or non-vegan. 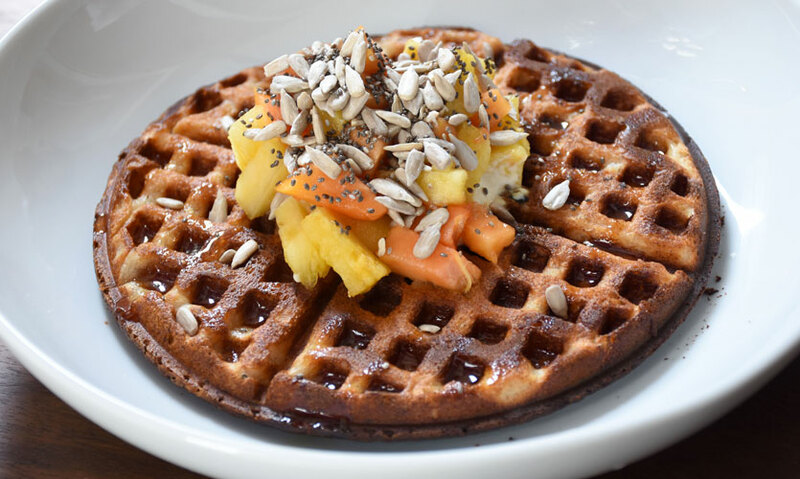 The vegan waffle is gluten, dairy and sugar-free. The waffle is topped off with cream cheese, fruits and superfoods. We had ours with pineapple and mango topped off with chai and sunflower seeds. The waffle itself is a bit bitter but the sweetness from the fruits balances it off. My favourite however was their Tropical Smoothie Bowl (Rs. 790). The smoothie is made with tropical fruits and coconut milk and topped with their homemade granola, fruits, chai seeds and sunflower seeds. There is no added sugar or water and all we can say to describe the bowl is ‘YUM’. We have ordered this dish twice and each time it has been absolutely delightful. We really loved their homemade granola, so much so that if they bottled it up and sold it, we would buy all of them. 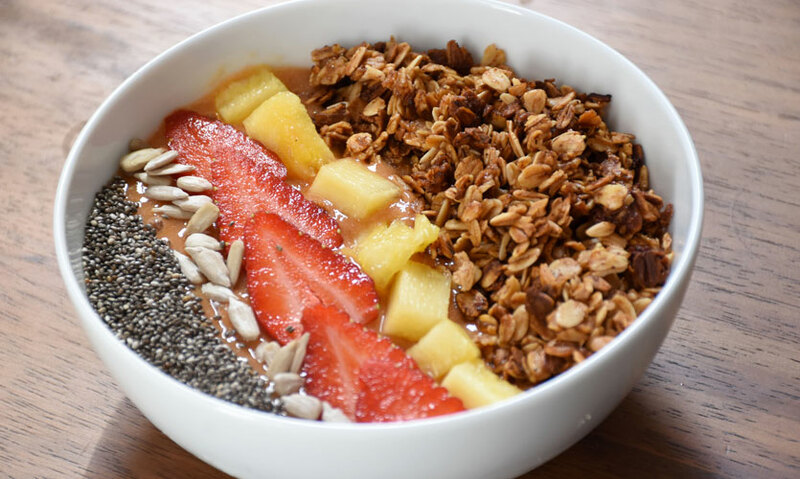 The Smoothie Bowl doesn’t disappoint and if you are looking for something sweet, filling and healthy, we recommend this dish! Also their Full Breakfast is all kinds of delicious. It’s a massive plate with a big omelet, sausages, ham, avocado, tomatoes, mushrooms and bread. Because the café is run solely by the duo, food takes a while. You’ll have to wait around 20-30 minutes but that’s okay because you barely feel the wait. Amande and Ruta are super friendly and they immediately put you at ease. 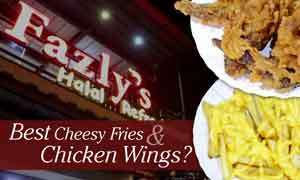 They will easily recommend dishes for you and even better, they’ll ask for feedback. Superfood Café is a restaurant that checks all our criteria. 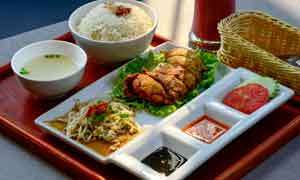 They have the cutest space, some great food that’s complete value for money and good service. They make healthy food taste good and makes trying to live a healthy, clean lifestyle a whole lot more appealing. It’s our favourite new place for brunch and it’s a place we have no worries recommending wholeheartedly! Address: Villa Raha, No.33, MacLeod Road, Colombo. imported from abroad ???? "Most of the superfoods served at the Café are imported from abroad but"
fresh salmon? the picture of the avocado toast shows smoked salmon - i would hope a foodie should know the difference?